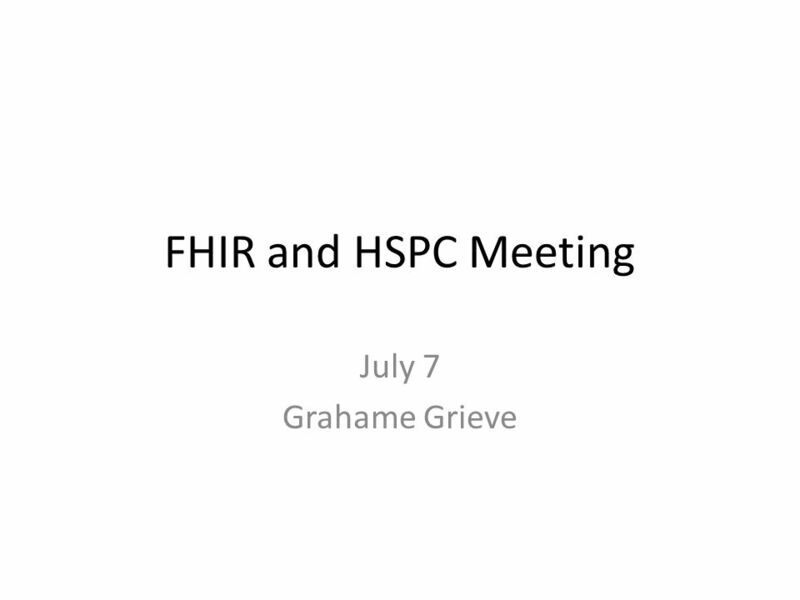 FHIR and HSPC Meeting July 7 Grahame Grieve. 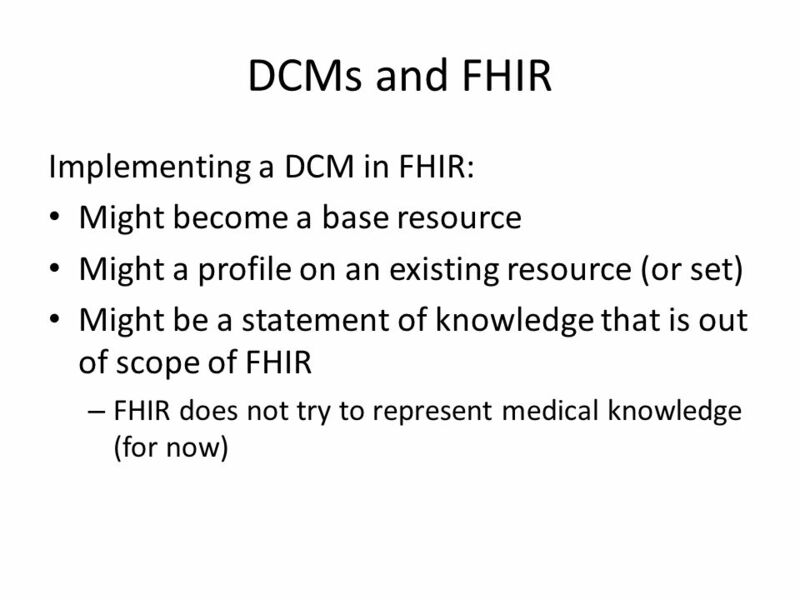 How do DCMs fit within the FHIR strategy/objectives? 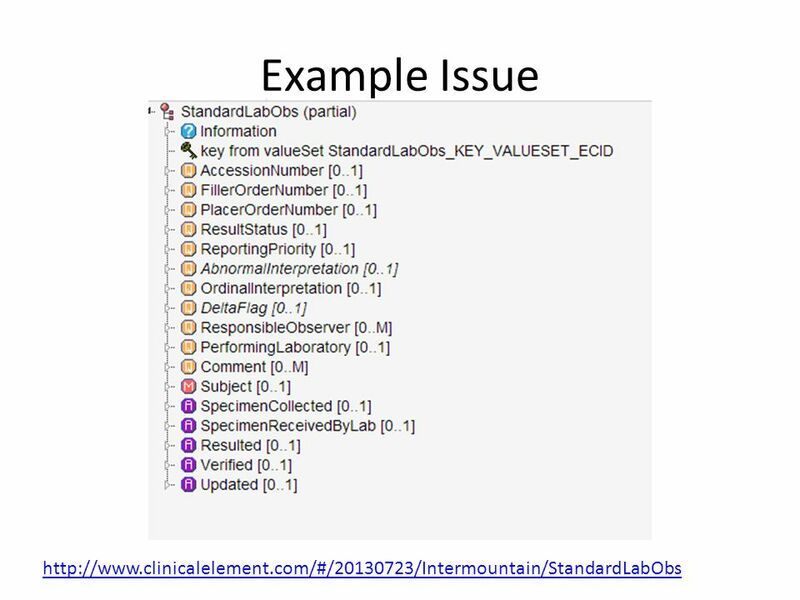 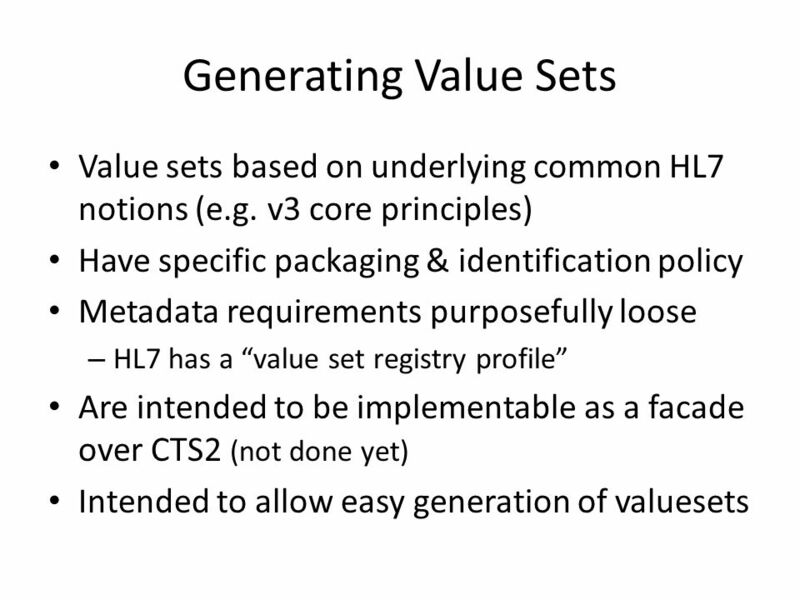 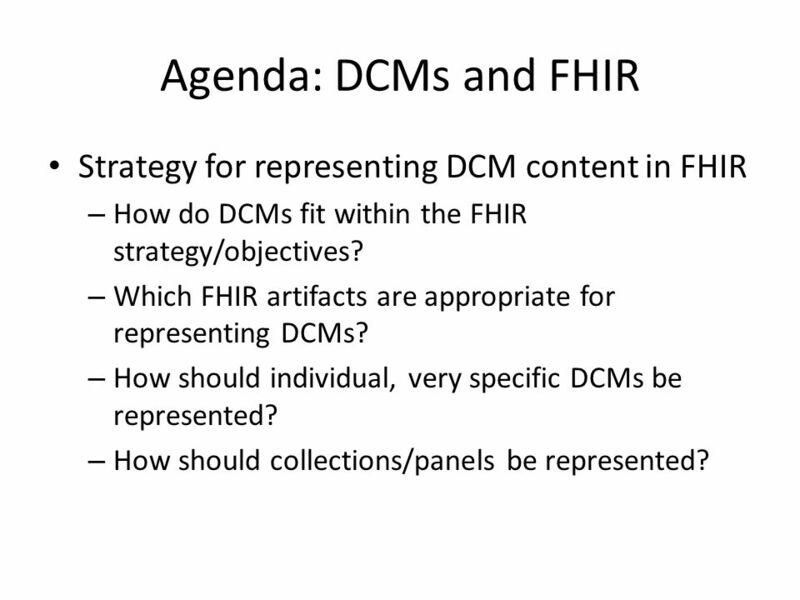 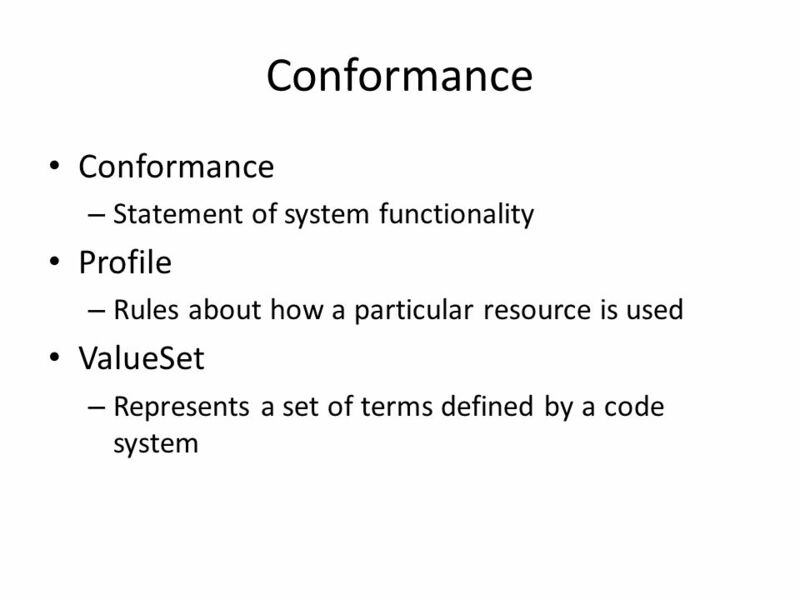 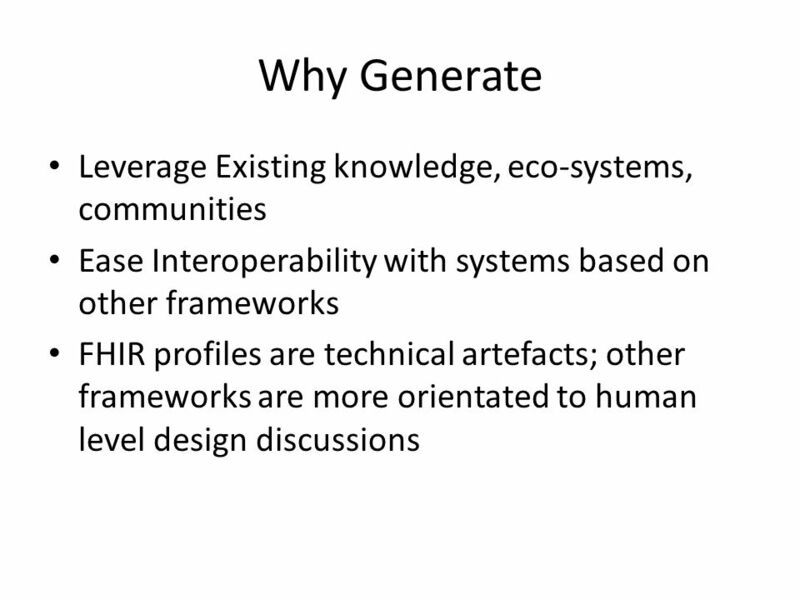 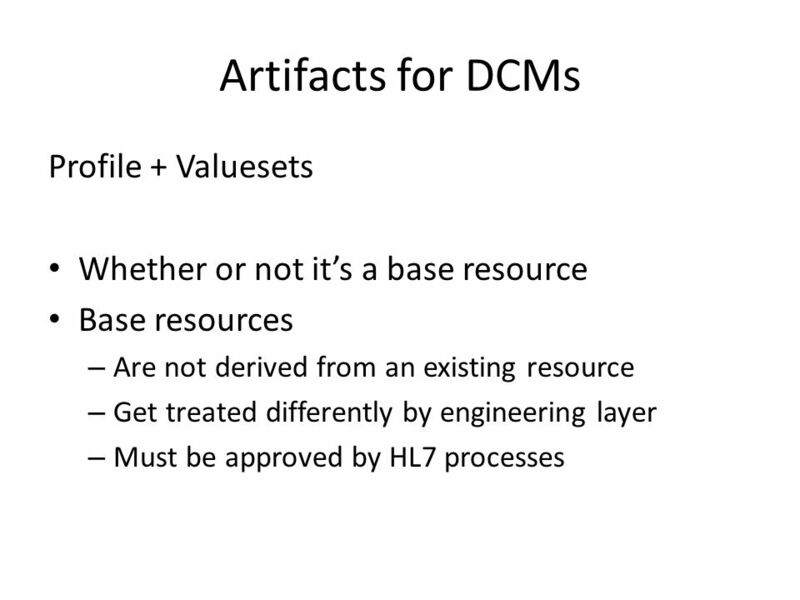 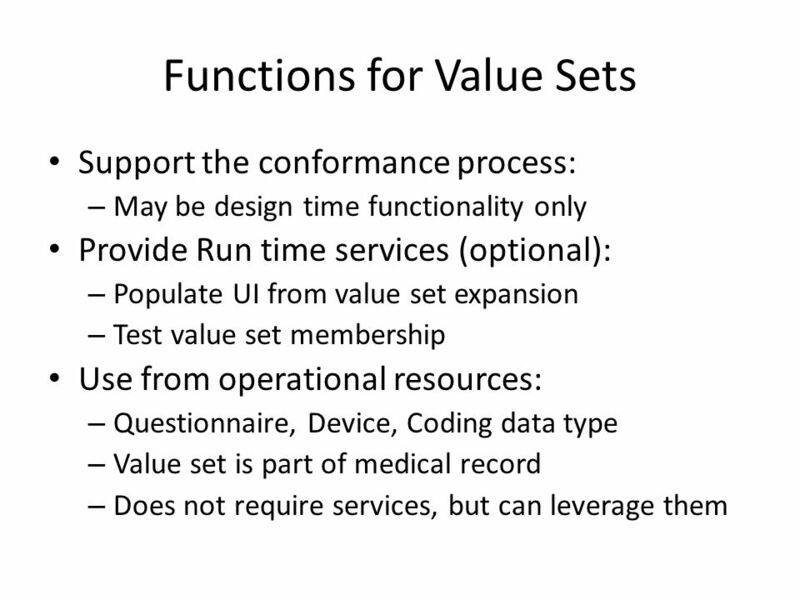 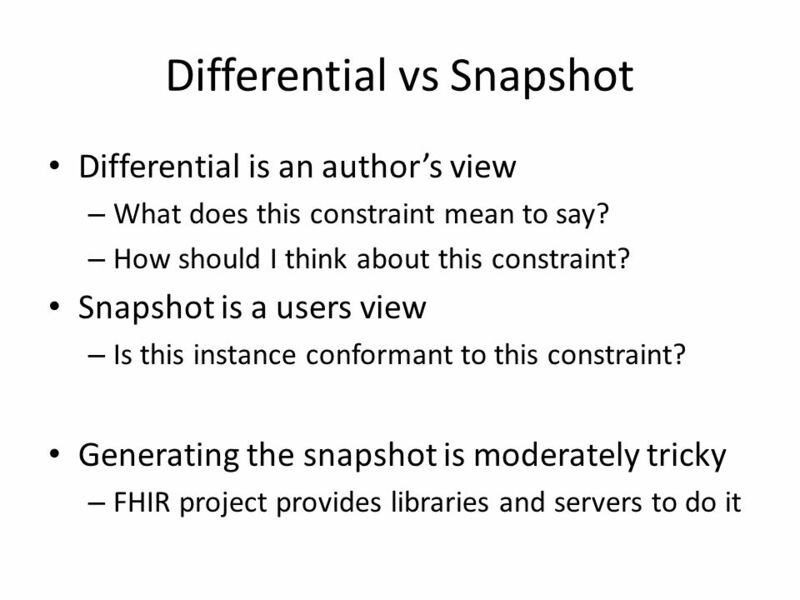 Which FHIR artifacts are appropriate for representing DCMs? 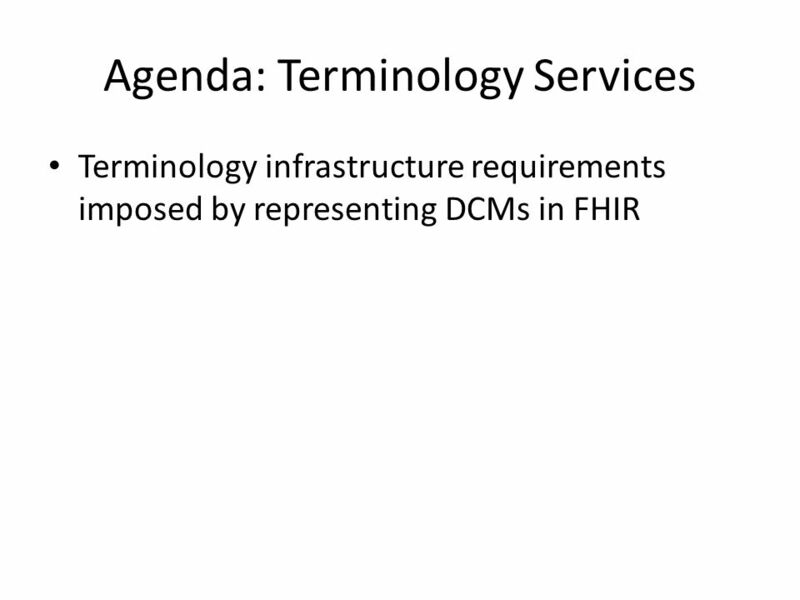 How should individual, very specific DCMs be represented? 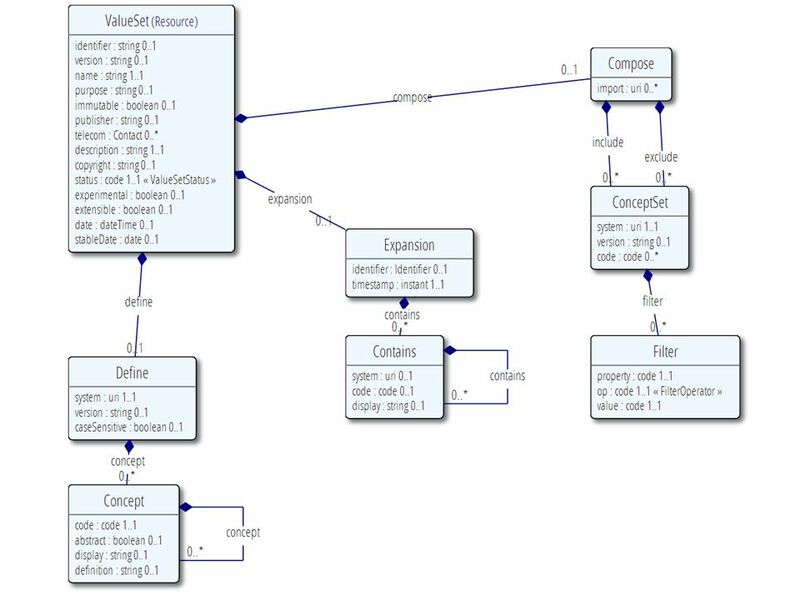 How should collections/panels be represented? 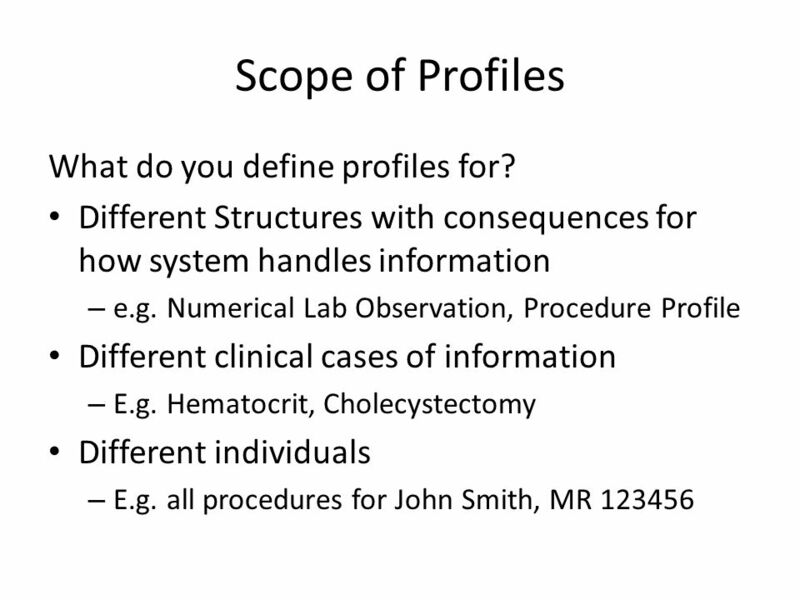 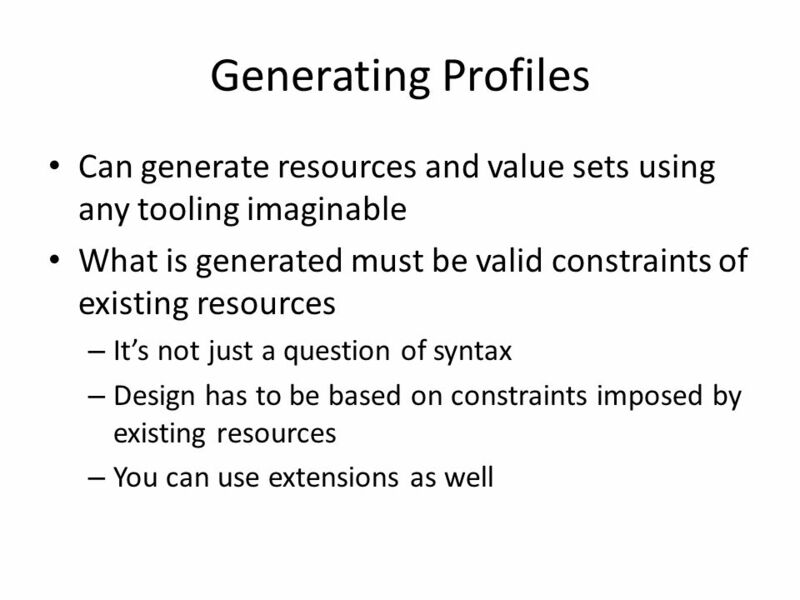 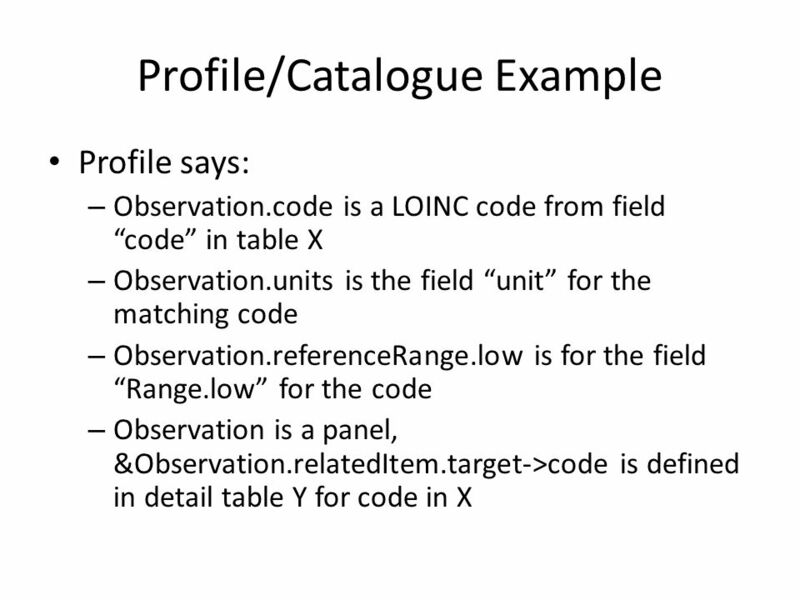 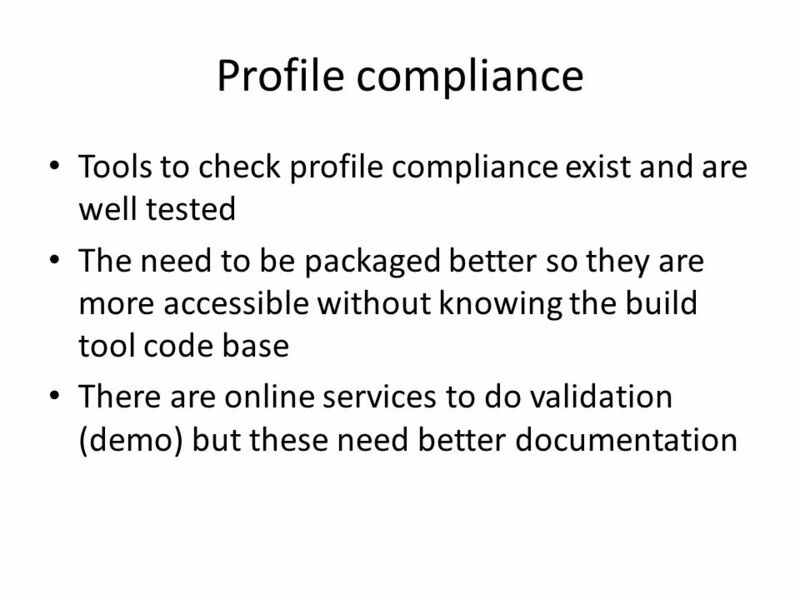 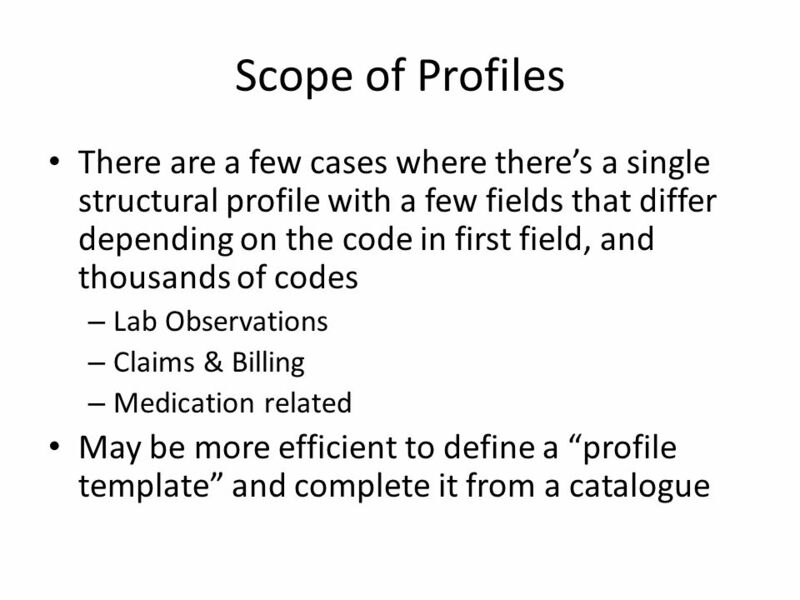 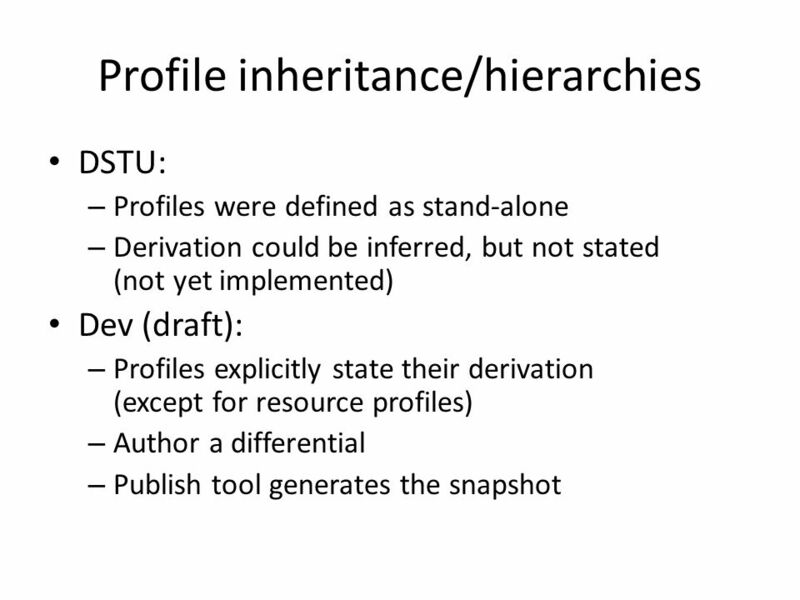 22 Scope of Profiles What do you define profiles for? 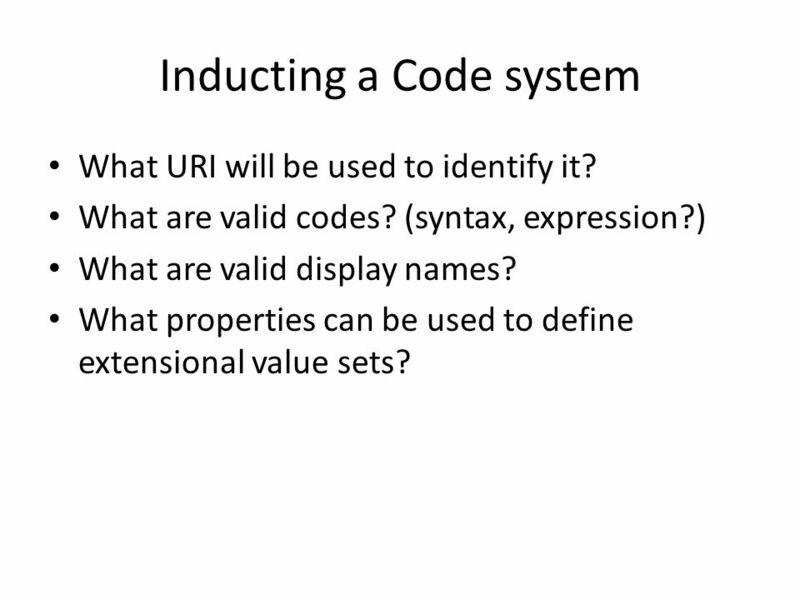 It could be added Is there a simple syntax that solves enough cases to be useful? 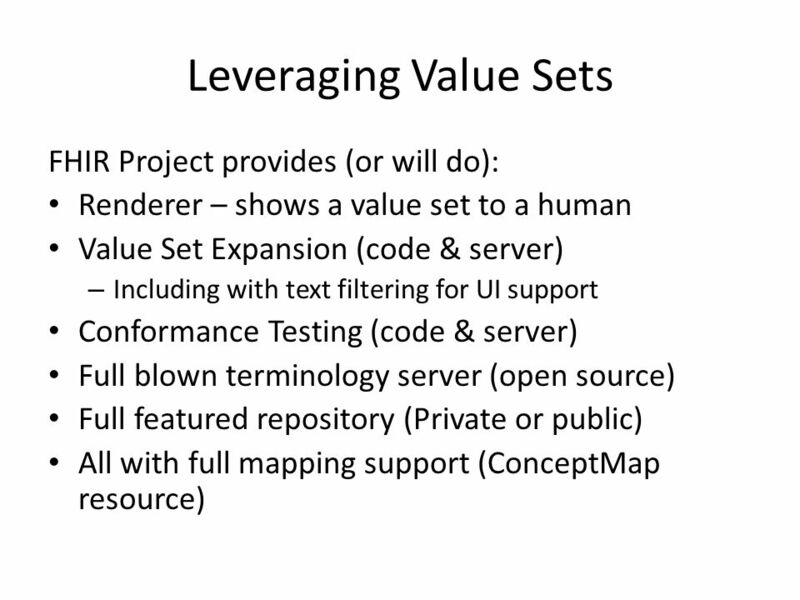 Is that a value proposition? 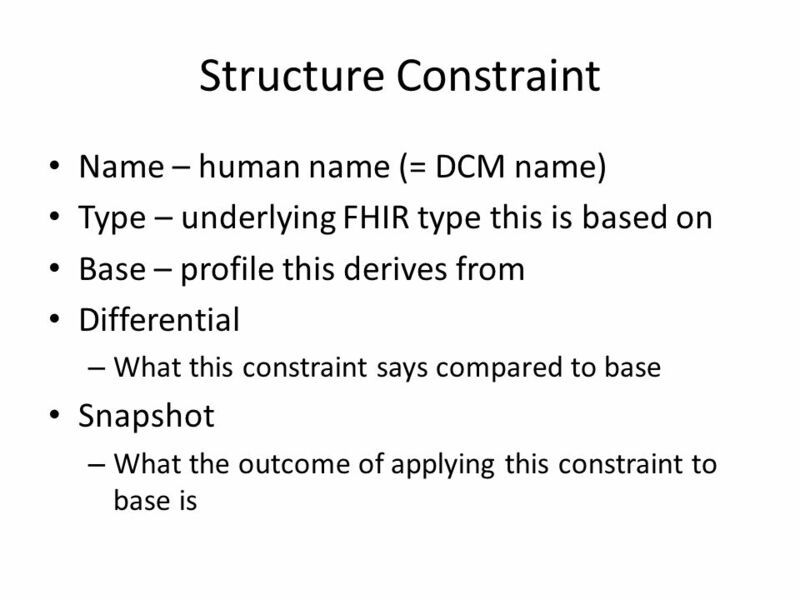 What URI will be used to identify it? 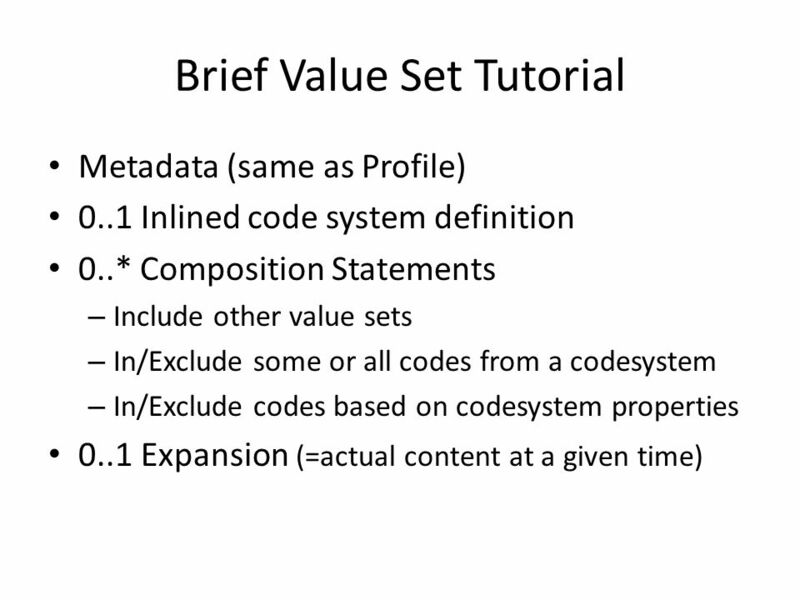 What are valid codes? 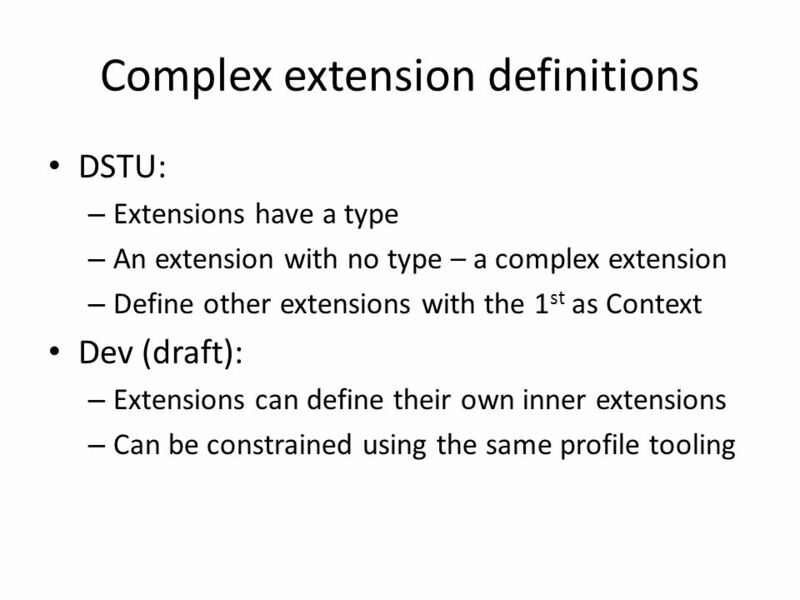 (syntax, expression?) 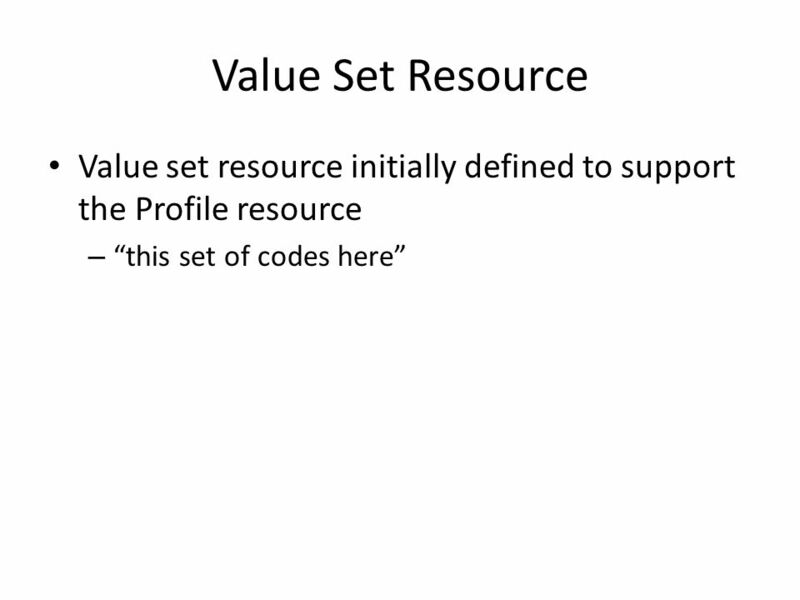 What are valid display names? 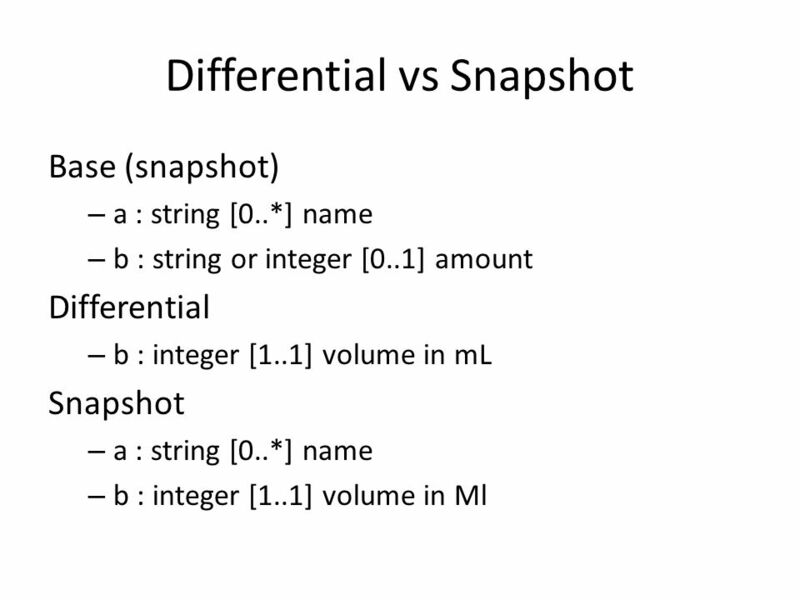 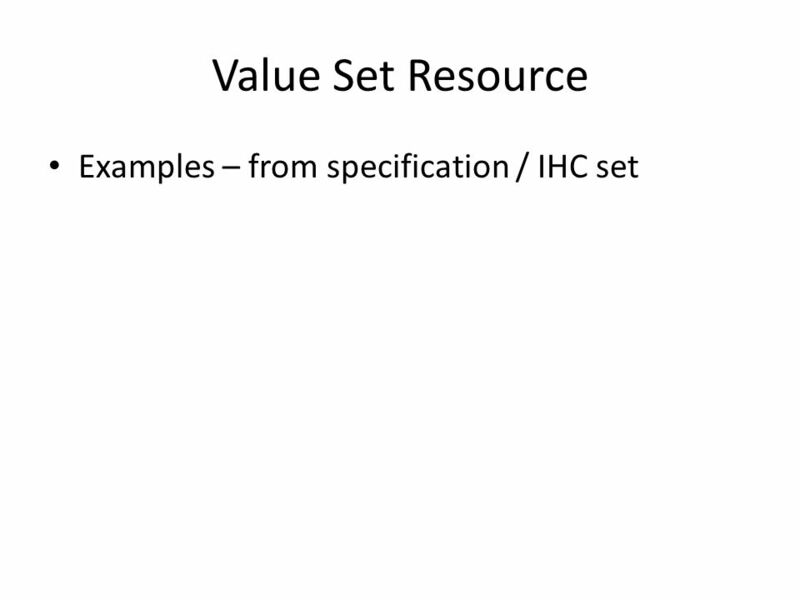 What properties can be used to define extensional value sets? 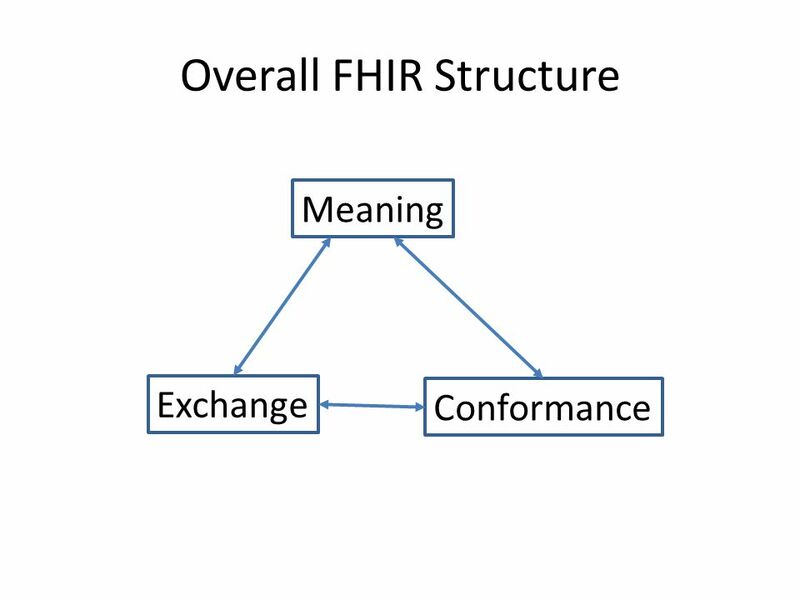 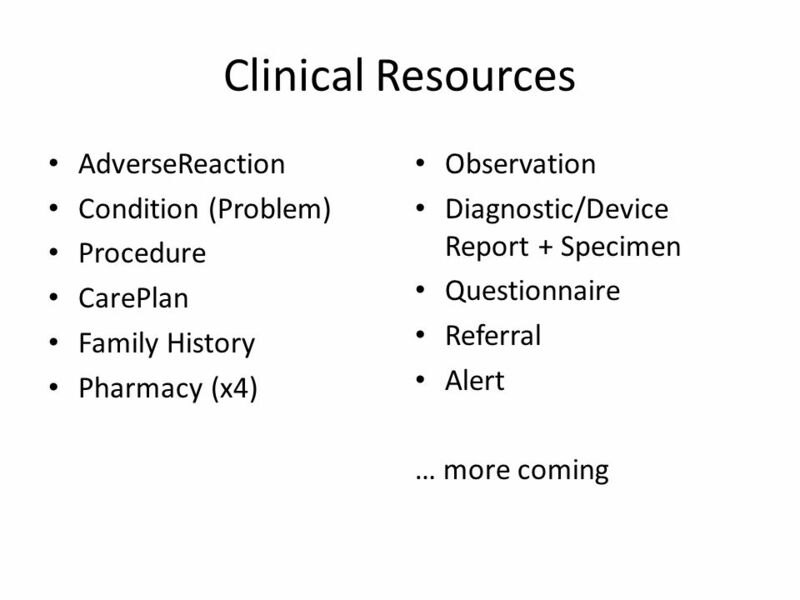 Download ppt "FHIR and HSPC Meeting July 7 Grahame Grieve." 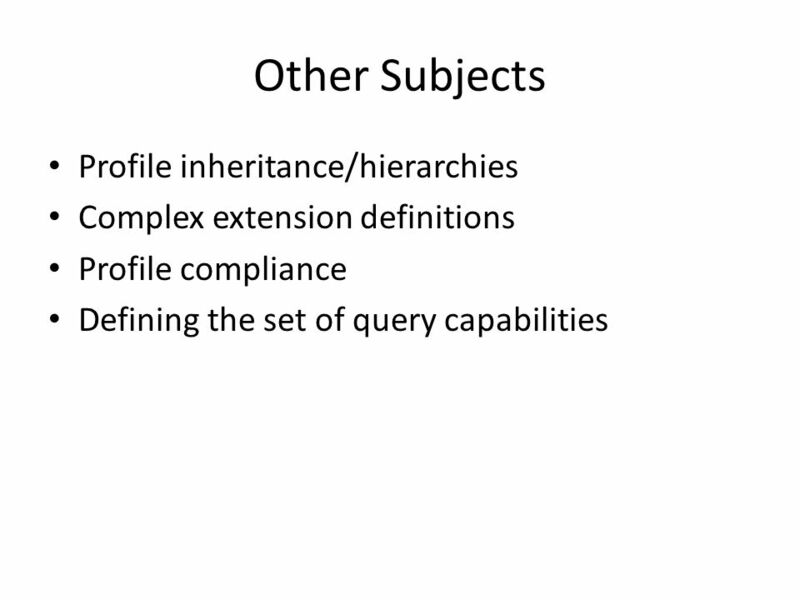 28 March 2003e-MapScholar: content management system The e-MapScholar Content Management System (CMS) David Medyckyj-Scott Project Director. 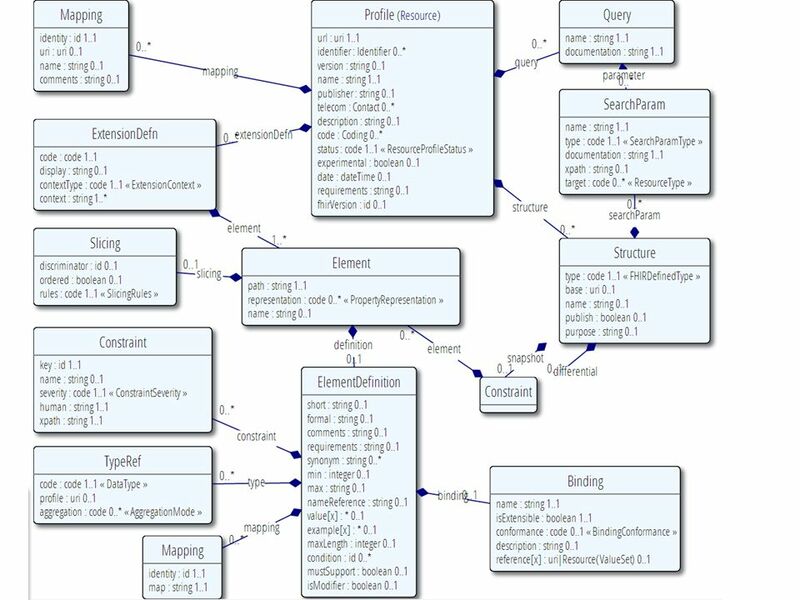 Use of the SPSSMR Data Model at ATP 12 January 2004. 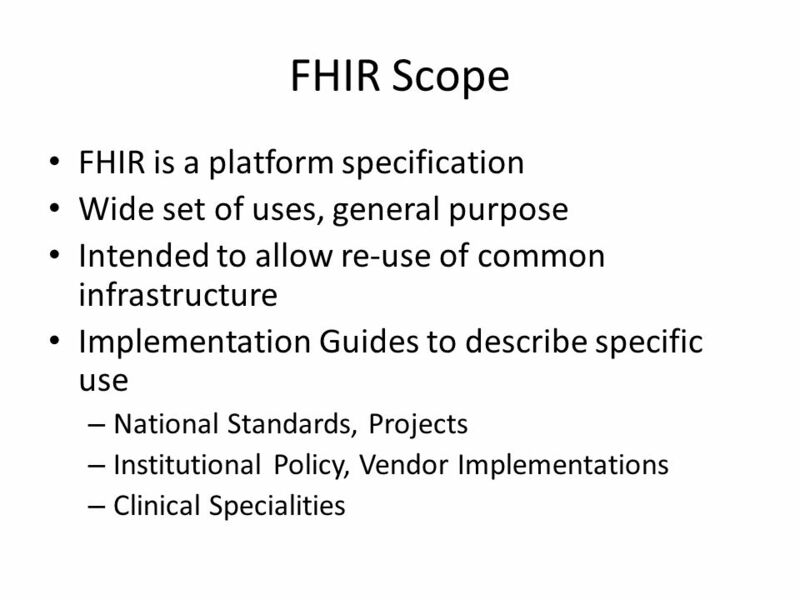 Health IT Workforce Curriculum Version 1.0 Fall Networking and Health Information Exchange Unit 4e Basic Health Data Standards Component 9/Unit. 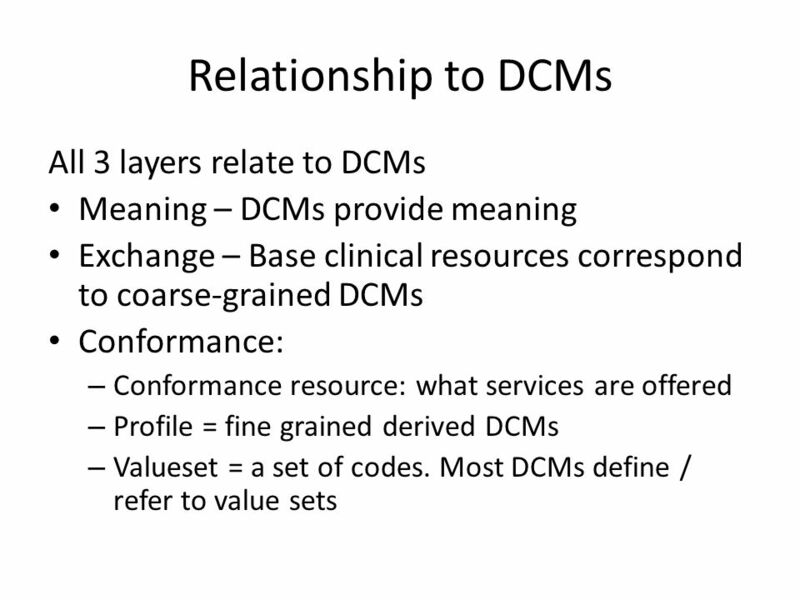 Catherine Hoang Ioana Singureanu Greg Staudenmaier Detailed Clinical Models for Medical Device Domain Analysis Model 1. 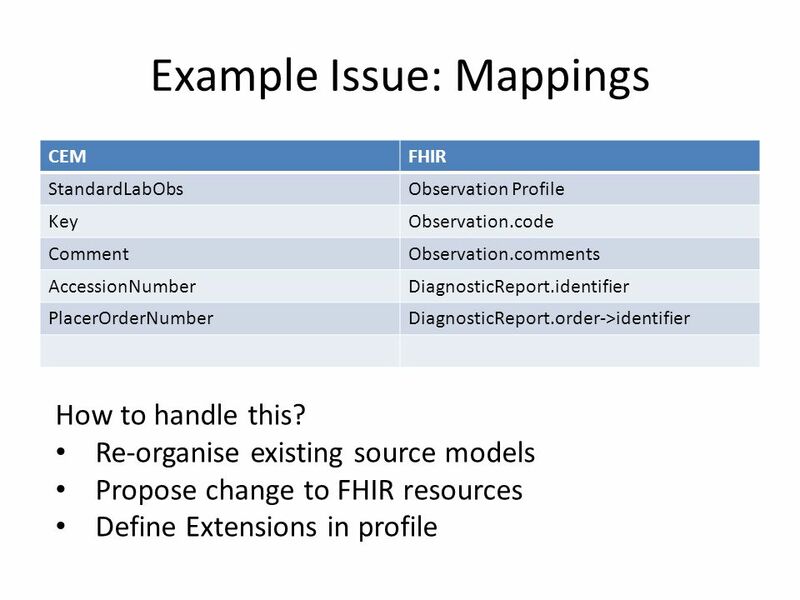 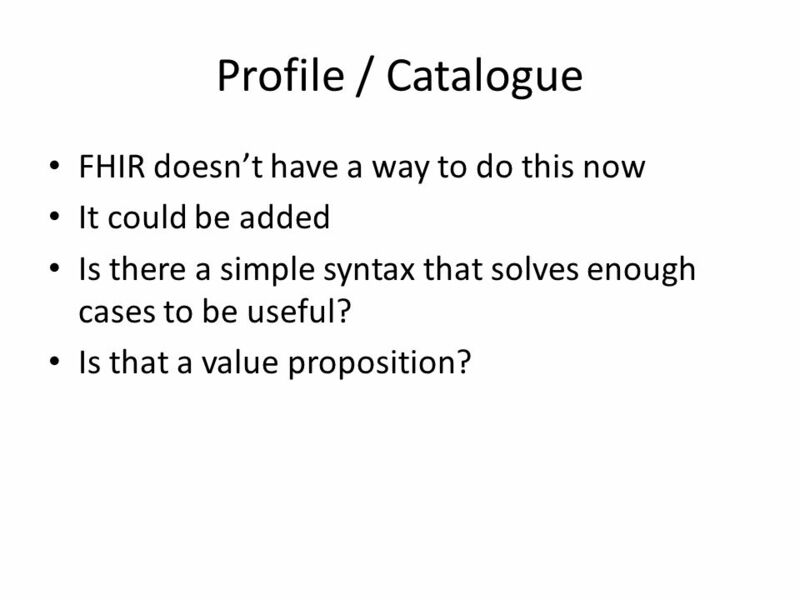 FHIR Terminology Tutorial Grahame Grieve 26 March 2015 CSIRO. 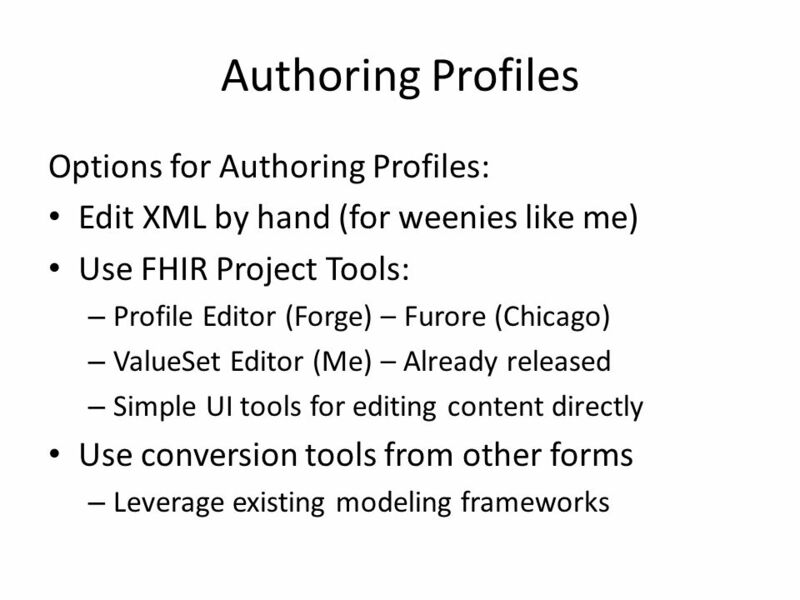 Input Validation For Free Text Fields ADD Project Members: Hagar Offer & Ran Mor Academic Advisor: Dr Gera Weiss Technical Advisors: Raffi Lipkin & Nadav. 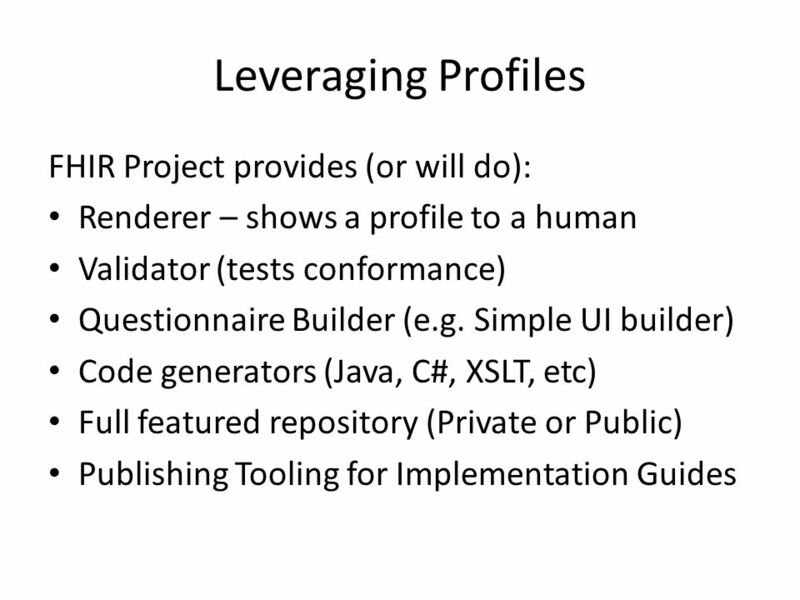 RDF Kitty Turner. 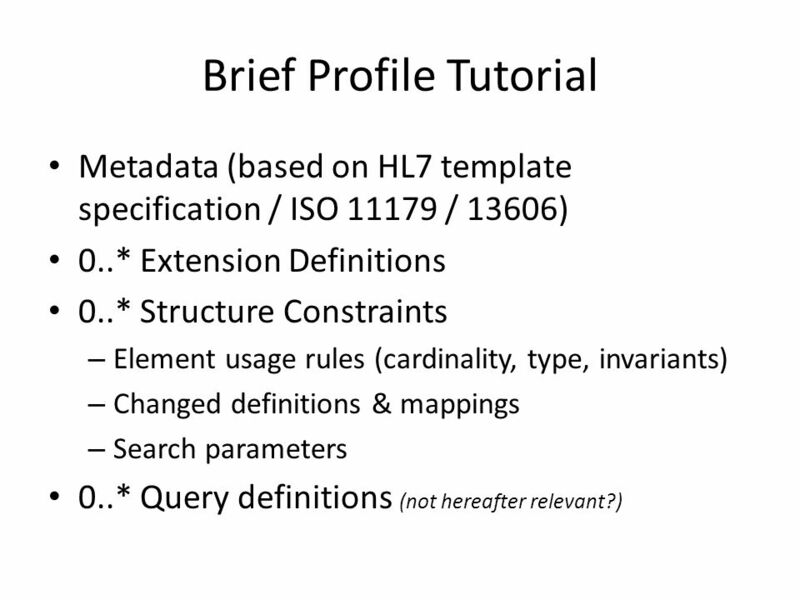 Current Situation there is hardly any metadata on the Web search engine sites do the equivalent of going through a library, reading. 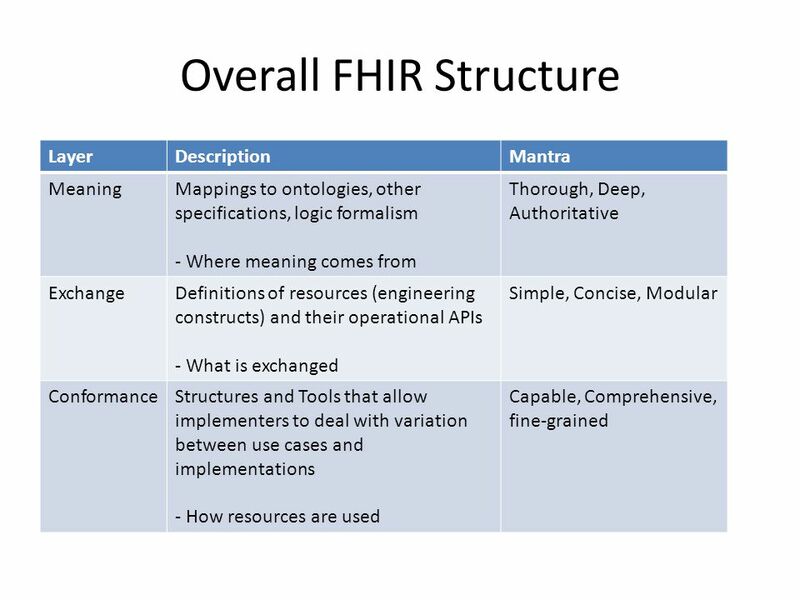 FEBRUARY 4, 2015 STANLEY M. HUFF, MD CHIEF MEDICAL INFORMATICS OFFICER INTERMOUNTAIN HEALTHCARE Modeling and Terminology.